We provide the community with any type of commercial plumbing service needed we can p, we will give you a free quote on installing boilers and air conditioners and we won't charge you a cent just to check out a problem you're experiencing. Call us now for a free estimate! No call out fee. At Plumbers of Hollywood, we understand more than anyone the importance of installing the right comfort setups for industries 'Boilers, Air conditioning and Heating'. We will arrange a meeting with your company’s representative in order to determine your commercial boiler system, heating and/or air conditioning needs. We want to make sure you get the best in quality installation and proper equipment. Our licensed plumbers will install the duct-work throughout your commercial premises to enhance proper insulation and electrical wiring. All equipment and wiring will be checked before final approval of the repair on heating and cooling systems. Our service and equipment installation will keep the air and humidity at the right levels for your comfort. This is the type of investment your business needs in order to enhance property value, support daily operational needs and improve your operations overall. At Plumbers of Hollywood, service comes first and is only complete with routine inspections on standard procedures, to ensure there are no leaks of refrigerant within your commercial facility. Improved plumbing and heating at work, whether it is your business or your office, helps you to save money on bills: water rates and energy bills mostly. If you have any questions about your commercial plumbing, please don't hesitate to contact us on 954-210-5131, or email us at plumbersofhollywood@gmail.com. 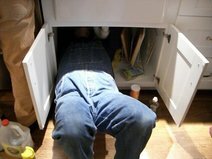 Our team of experience commercial plumbing contractors is our strength. We believe that hiring the right commercial plumbers is what makes our commercial plumbing company one of the best in Florida, in the United States and possibly in the world. Oops! We forgot to be humble. Call us today if you want to see commercial plumbing repair at its best, we service all types of installations and strive to offer the best commercial plumbing services in Hollywood and its surrounding areas. We offer an on site consultancy and capabilities in the design and layout of hot and cold water systems for all commercial and public sectors, that includes leisure centres and large kitchens. Our experienced consultancy team will undertake several technical surveys of your business premises and report on systems requirements to ensure peak performance. We will help you achieve low use requirements through the installed system at a reasonable cost for you. From design to installation and final commissioning, Plumbers of Hollywood’s team of experts work closely with you to ensure that hot and cold supply systems meet the latest standards on installation and usage. Raise your standards higher and give us a call today!